There’s no question of a doubt that social media has become more visual over the past few years with over 63 percent of social media updates now incorporating visual content. This means that if you don’t have great images for your social updates you will not stand out from the hundreds of status updates streaming past your audience every minute. But simply having great visuals is not enough. Unfortunately your images display differently across the different social media channels so you need to make sure that your photos are optimized for each one. This can often lead to a lot of searching online to find out the correct dimensions for Facebook, Twitter, Instagram, Pinterest, LinkedIn, YouTube, etc. Wouldn’t it be useful if all this information was in one place? Thankfully the folks at Makeawebsitehub have done that in this nifty infographic. Whether you are an experienced social media expert or a novice this handy reference guide lists the dimensions for the images which the major social networks want you to use, as well as a few handy tips for selecting the perfect image for your profiles. 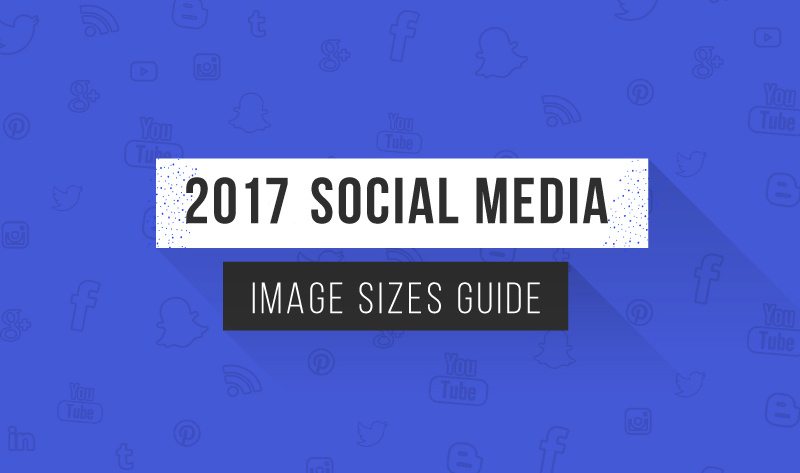 I appreciate you consolidating the social media image sizes for 2017 and especially appreciate that you labeled it the sizes for 2017 as so much old stuff comes up in the search engines with outdated information. Thank you for this easy guide to refer to.